Peel Patios is now offering interest free financing terms to approved customers through FlexiCards Australia Pty Ltd.
Get started now and enjoy your Peel Patios lifestyle sooner by applying for finance for your new outdoor patio or deck with fast, easy online approvals. Click HERE to explore the key facts about financing through SKYE. Receive the decision on your financing via email right away. If approved, you will receive an approval notification email, followed by a welcome confirmation email. 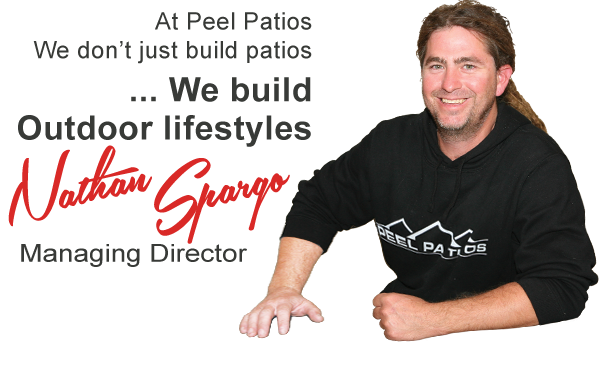 Contact us at Peel Patios so we can help you get started with designing your new outdoor space. Get your pre-approval for interest free* finance and contact Peel Patios to get started!! For more information on our financing solutions call SKYE direct on 1300 115 533. *Approved applicants only. Fees, terms, conditions & minimum finance amount apply, incl $99 Annual Fee charged on the account open date and annually on the anniversary of that date. Annual Fee must be paid in full within 90 days or it will attract interest. Minimum monthly repayment may be required. Interest (charged at standard Expired Promotional Rate) is payable on the balance outstanding after any Interest Free term. View current interest fees and charges here. Credit provided by FlexiCards Australia Pty Ltd ABN 31 099 651 877 Australian Credit Licence number 247415. Skye is a trademark of FlexiCards Australia Pty Ltd, a subsidiary of FlexiGroup Limited. Mastercard is a registered trademark, and the circles design is a trademark of Mastercard International Incorporated. © FlexiCards Australia Pty Ltd 2018.